1,2Department of Electronics and Telecommunication, MGM's JNEC Aurangabad,Maharashtra, India. Life as we know it would be impossible without electricity. But as our supply of fossil fuels, energy source for electricity, continues to dwindle, we face a majorchallenge. Renewable energy that we get from the environment is a commendable option for providing green energy to homes. A high efficiency power management system for solar energy harvesting applications is proposed. Admiring efforts have been made recently in transforming the power grid into smart grid by means of unifying extensive information and communication infrastructures. In this paper a versatile stochastic optimization approach has been proposed for smart grid, to meet the need of the residential customers in an efficient energy management comprising high penetration of renewable and distributed energy sources, market based online electricity pricing, large scale storage of energy and high quality demand side management, mitigating monetary expense.The concept Boost converter used in this paper increases the throughput of solar panel voltage. Smart energy meter, an added advantage of the proposed system provides a two way communication between the utility board and residential unit. Snehal D Solunke, Vishwashri A Kulkarni. "A Review Paper On Latest Trends In Distributed Smart Grid Technology." 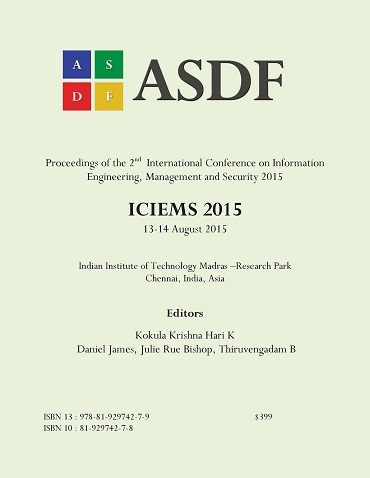 International Conference on Information Engineering, Management and Security (2015): 334-337. Print.